On Friday, Tata Steel GDR price fell sharply by 12.81% on the London Stock Exchange.ThyssenKrupp top executive repeated that the merger of the European steel operations is growing well. Tata Group Senior executive said that “There is hardly any liquidity in the GDR market and most of it has got fungible with the underlying Indian shares of Tata Steel “.And suggest not read much to it, he added. 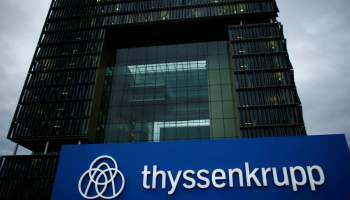 ThyssenKrupp is going slow on its proposed joint venture with Tata Steel Europe in the wake of management changes at the German industrial grouped together. Specifically, the deal, signed in late June this year, was believed to be coming off after the exit of Heinrich Hiesinger, former chief executive of ThyssenKrupp, who was also the main driver behind the deal with Tata Steel. Why Investelite Research is the right place to take trading tips?